Chanakya, who lived in India in the 4th Century BC, was a leadership guru par excellence. The treasure of his teachings can be found in his book, The Arthashastra, which deals with good governance based on ideal leadership. The concept of the ideal nation in The Arthashastra, called Saptanga, holds that there are seven pillars of a kingdom: Swami, Amatya, Janpada, Durg, Kosha, Dand, Mitra iti Prakritya. For centuries, Indian rulers have used this concept as a model of successful government. D. Sivanandhan, former Director General of Police, Maharashtra, is one of India's most highly regarded IPS officers. He has been instrumental in rebuilding the defenses of Mumbai after attacks in November 2008 and has served as member of the special task force in the National Security Council Secretariat. Currently, he serves on the board of several companies and is the Chairman of Securus First India Pvt. Ltd. I love Jaico’s self help and inspirational series plainly for the beauty they are. This book is a gem in its collection for one it is written by one of the most prominent names in IPS officers and two the way the author has dealt with the whole subject is surely mesmerizing. 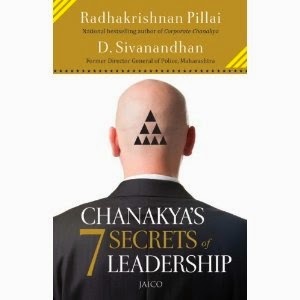 I have always held Chanakya in very high regards and this book just made me place him a notch higher. In this book the author has made theory meet practice in order to give the readers an experience of a lifetime. It is a thrilling experience to read this book as you turn page after page in an attempt to understand what a true leader is all about. Overall a recommended book for them who love reading such inspirational books. 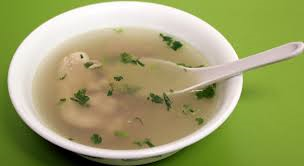 This book is like clear soup - simply yummy and cleanses your soul.